For a long time, both Hampi – a UNESCO World Heritage Site in Karnataka – and the beaches of Goa were magnets for India’s backpacking crowd. And while the two destinations still offer up many possibilities for those after a laidback journey, a number of new hospitality offerings are refashioning both as hubs on the luxury backpacking trail. From high-end train journeys to top-rated boutique hotels, 2016 is the year to discover the stylish sides of Hampi and Goa. After all, everyone needs a bit of pampering now and then. Hampi is, without a doubt, one of the most extraordinary sites in all of India. The landmark consists of the ruins of a once-thriving capital city, which was pillaged in the 16th century. The remnants today include temple complexes, shrines, and other architectural flourishes. For many years, basic backpacker hotels were the primary hospitality offering in the region. 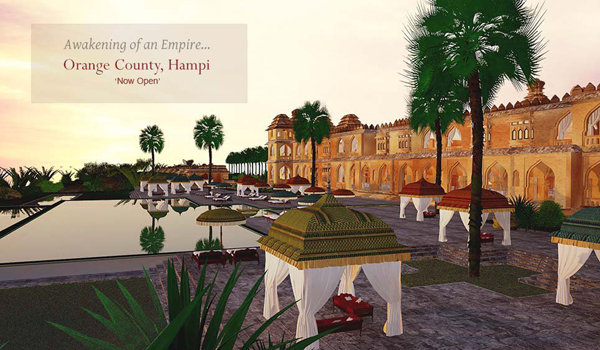 That’s changed this year with the opening of Orange County Hampi, the newest resort in the group’s portfolio of high-end properties, and perfect for visitors on the luxury backpacking trail. Located just between Hampi and the city of Hospet, the hotel may be newly built, but it was designed to mirror the historic Vijayanagar architecture of the region. Guests are invited to go on customised tours of Hampi’s ruins by day and enjoy the hotel’s lavish amenities by night – including in-room Jacuzzis, a spa, pool, and two on-site restaurants. Prefer to do your sightseeing and your relaxing all at once? 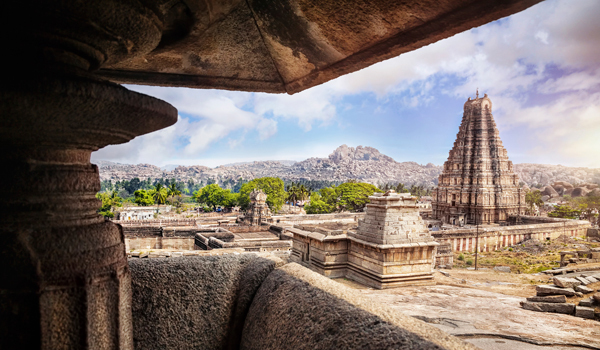 Deccan Odyssey, one of India’s top luxury train providers, is now offering a Jewels of the Deccan itinerary, an eight-day journey that transports guests from Mumbai to Hampi and back again. During their time in Hampi, visitors will be able to discover the ruins up-close, walk along the Tungabhadra River and explore Hampi’s Royal Centre before returning to the train and continuing on their way. 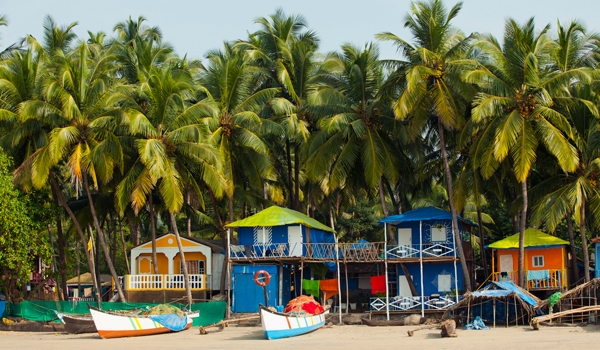 Though it’s a popular destination among students on gap years and the beach party set, Goa is more than just its nightlife. In recent years, the seaside destination has quietly expanded its range of destination-worthy boutique stays – and now, for luxury-seekers, there’s plenty to discover. 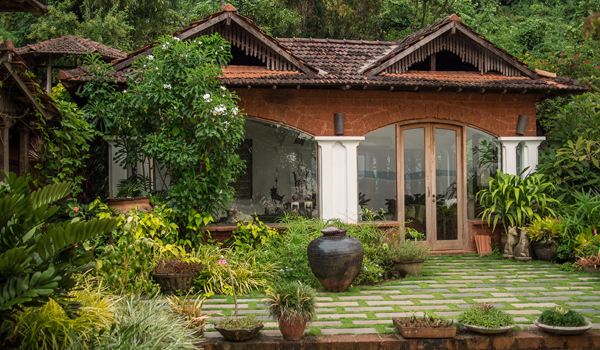 Opened last year, Ahilya by the Sea has already earned a distinction as one of Goa’s most coveted stays. Overlooking Coco Beach (and with an infinity pool all its own), this hotel is all about cultivating an air of luxurious relaxation, whether that means going for a paddle, reading on the veranda, or enjoying the house chef’s delicious curries. 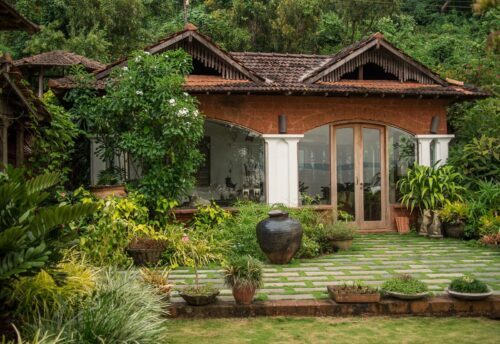 Beyond Ahilya, those only familiar with the chaos of northern Goa will be surprised to learn that the region is a haven for other tranquil boutique stays. 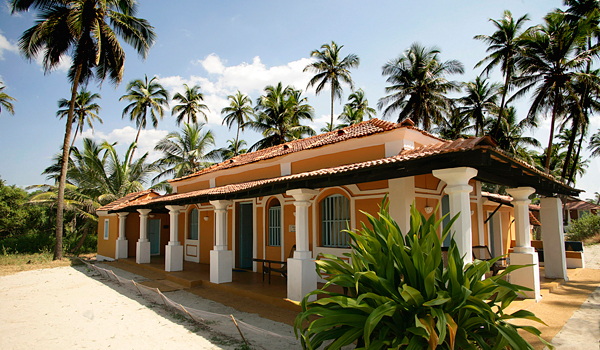 The hidden-away Avanilaya – which doesn’t even have any signs to advertise it – is surrounded by lush tropical foliage, and includes three stylish villas. Elsewhere is another of Goa’s best-kept secrets, though its beachy location along the Arabian Sea makes it ideal for sun-worshippers. All this goes to show that you don’t have to rough it to see some of India’s prettiest corners. Hit the luxury backpacking trail and prepare for a stylish mode of discovery.